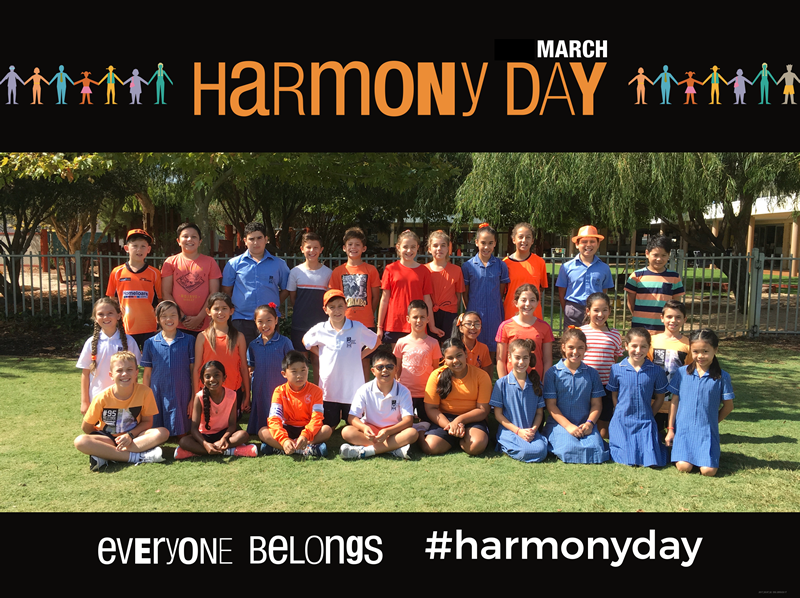 In Pre-Primary Blue, we celebrated Harmony Week by learning a special song called “All the children of the world”. 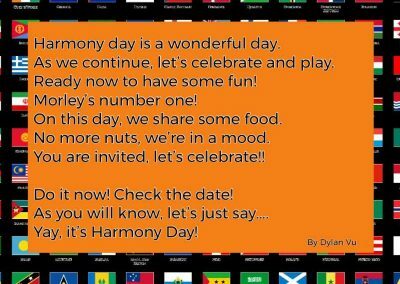 This song taught us to how to say hello in many different languages and explores the way that although we may be from different places around the world and we look different, we are still all children and we are equal to one another. 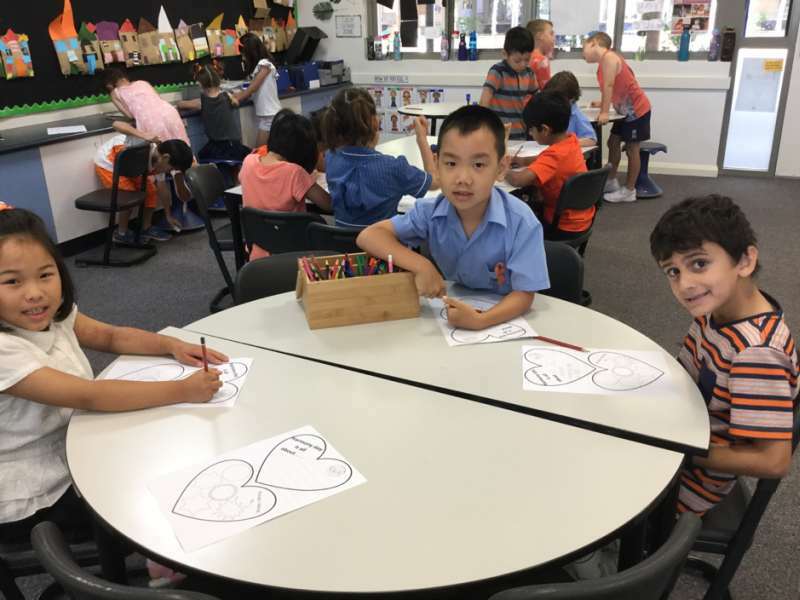 We even discovered that there are people in our class who can count to 10 in different languages! 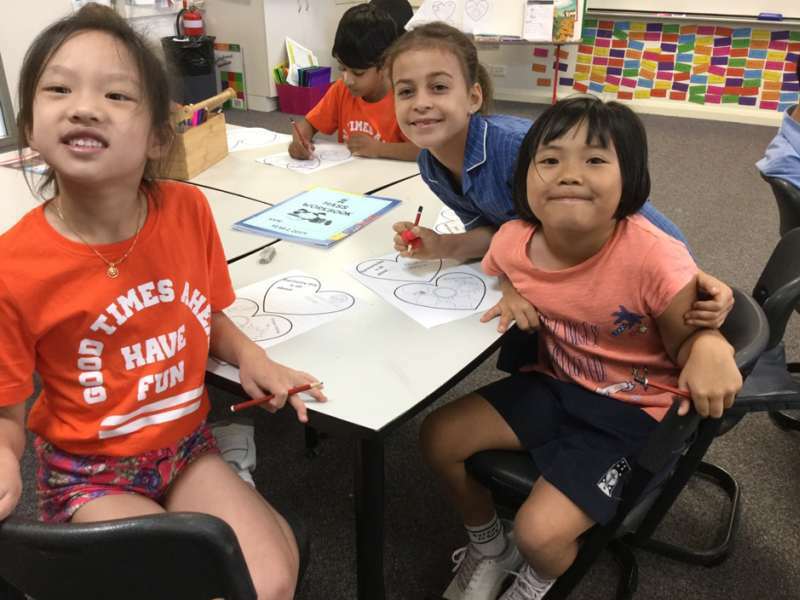 We then used the interactive whiteboard to look at a world map and locate where we live, and where our parents and family members were born. 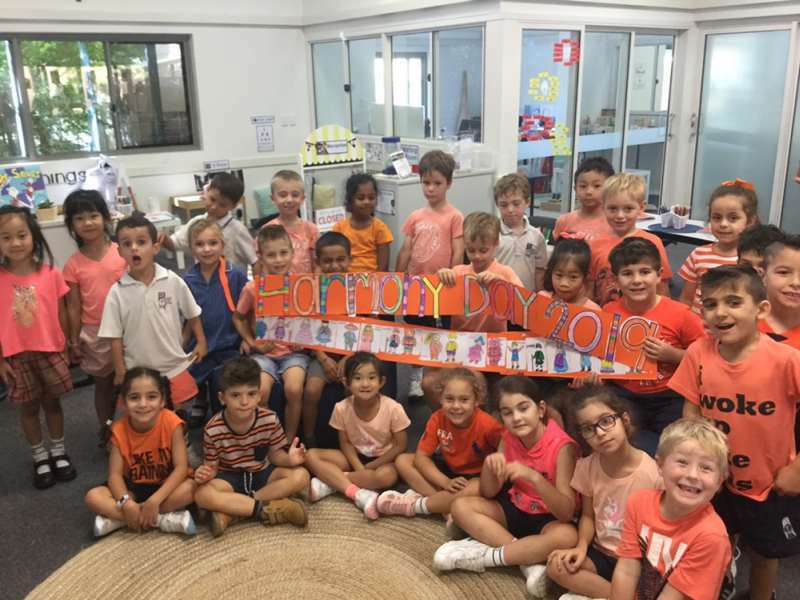 The Pre-Primary students created their own world map and wrote a sentence about where their family came from. 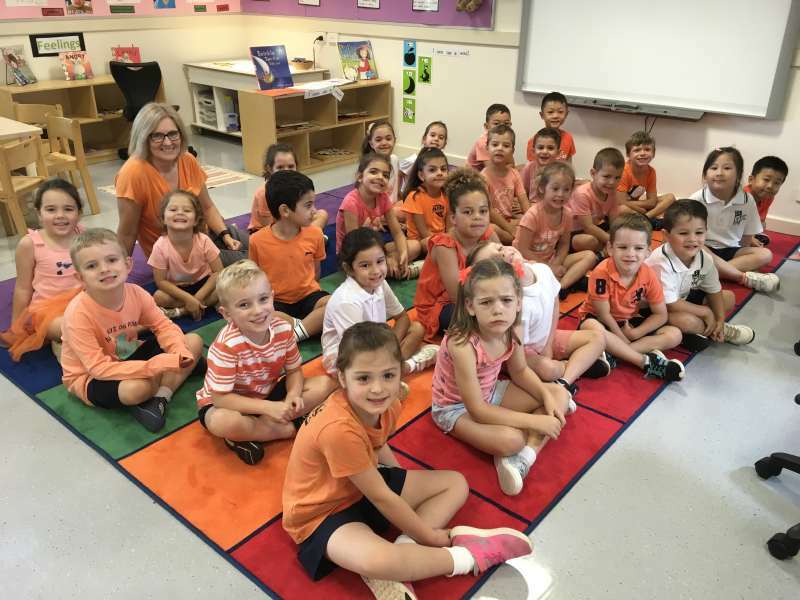 In Pre-Primary White we decided that Harmony Day was lots of fun! 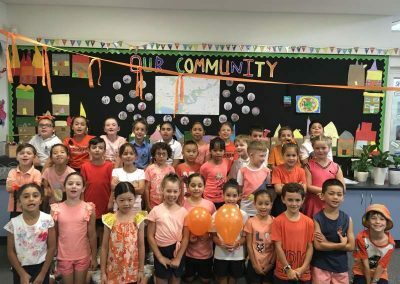 We got to dress up in the colour orange and we found out what countries are families came from. 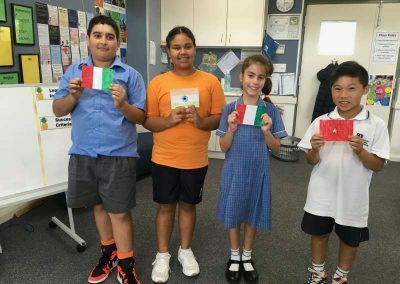 Italy was the most popular country with nearly half the class having grandparents who were born there. 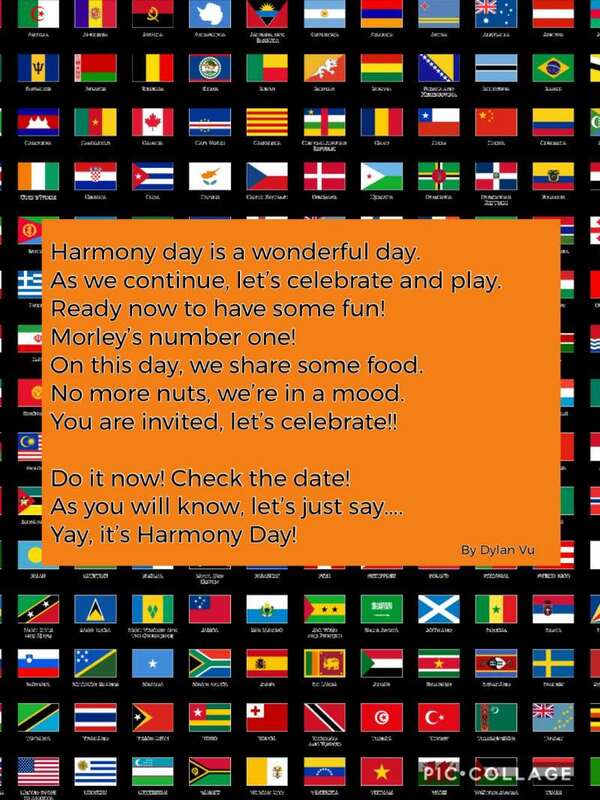 We sang a song about children from all over the world and learnt how to say “Hello” in many different languages. 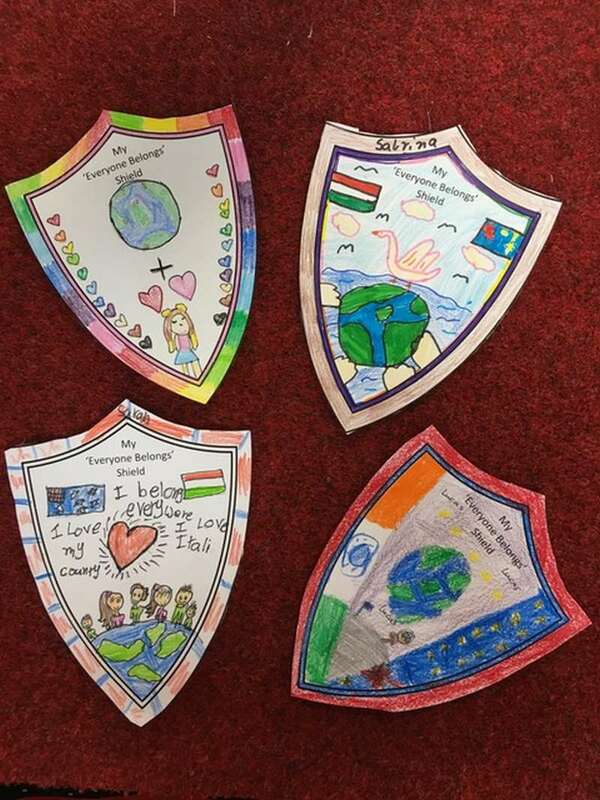 Some of us drew or painted the world and we were careful to colour all the countries in green and the water in blue. 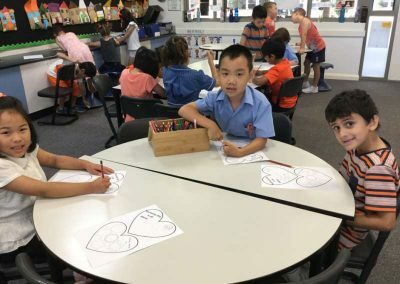 We then wrote where our families came from. 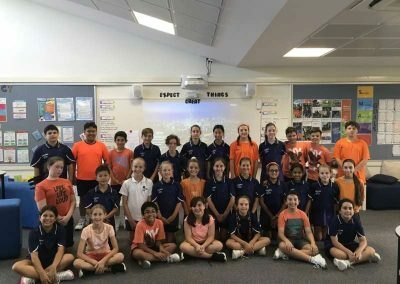 We are very lucky to have a class with many interesting families who come from all over the world. 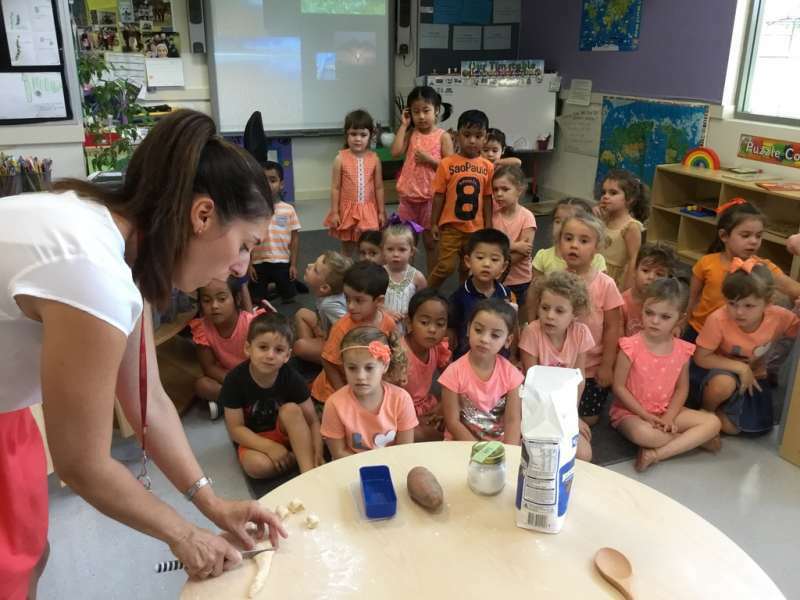 Today in Year One we explored the importance of family diversity. 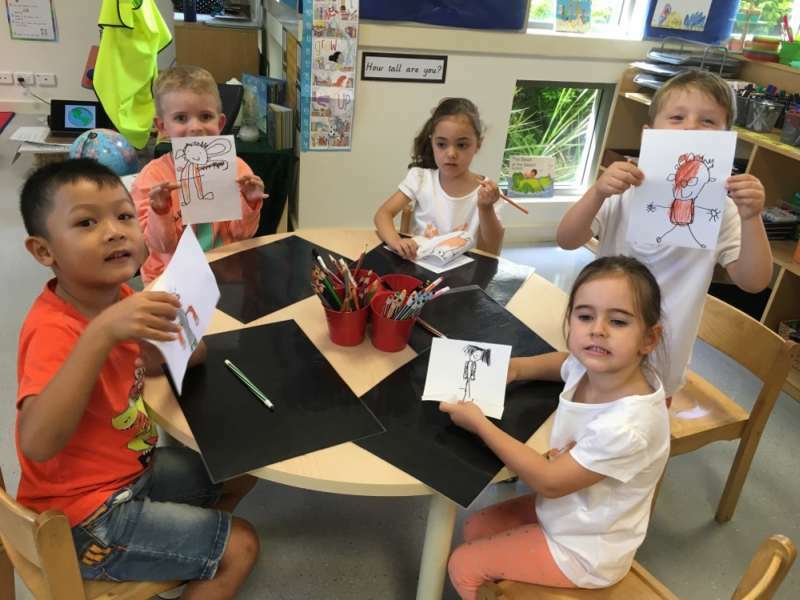 We talked about who was in our families, and how families are the same and different. 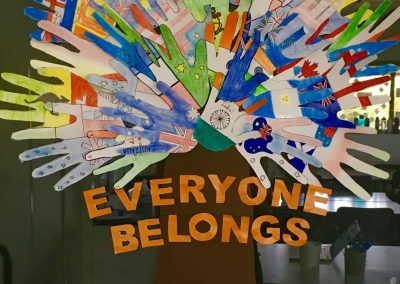 After listening to stories depicting a variety of people, cultures and lifestyles we created a banner to show how ‘We All Belong’. 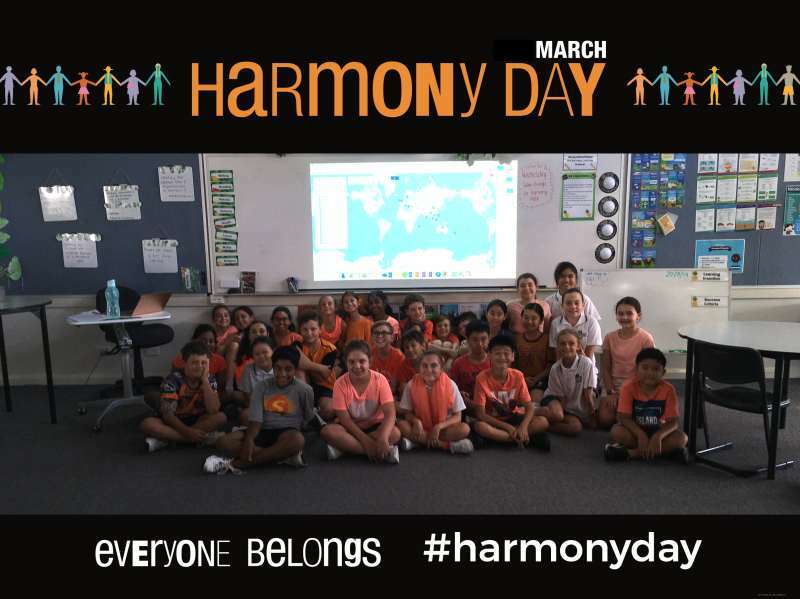 Year Two had a wonderful Harmony Day! 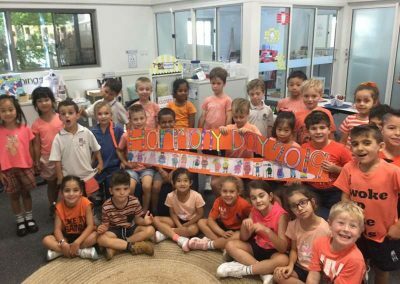 We read a story about being inclusive, celebrating our cultures and where we are from. 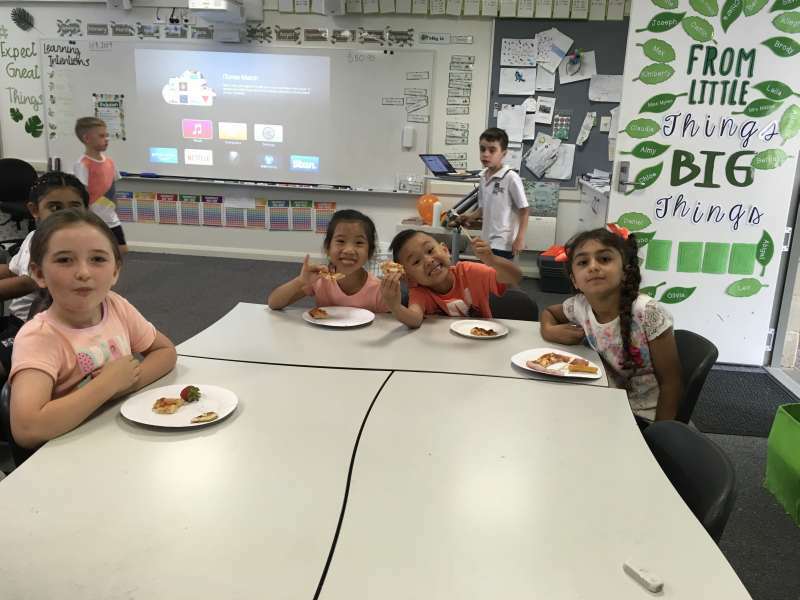 We made Harmony hearts, created clips about our heritage and celebrated with a shared lunch. 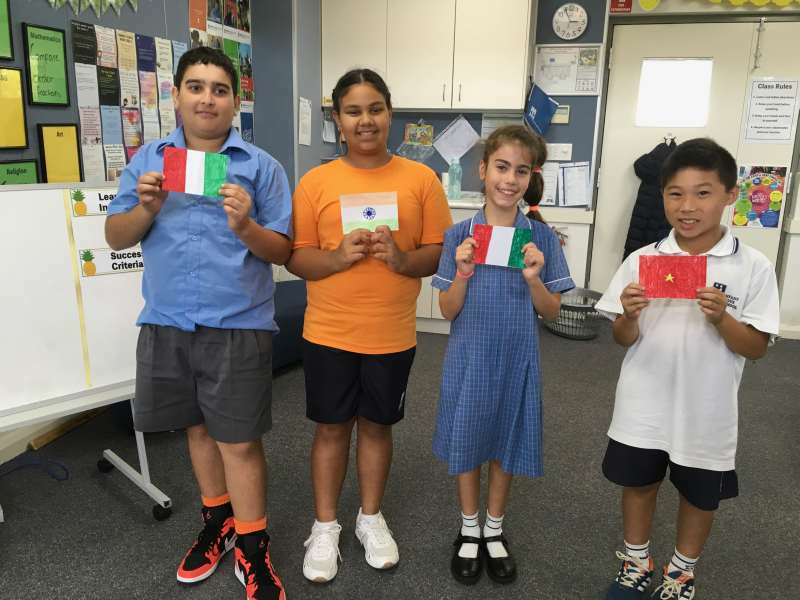 We discovered that in our classroom we have people who were born in Australia, India, Vietnam, Iraq, Ireland and Singapore. 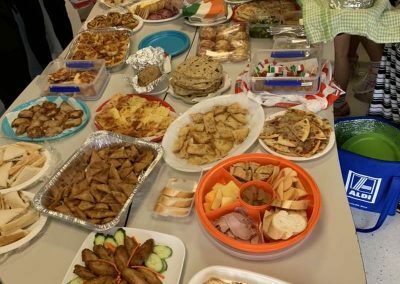 At lunchtime we all enjoyed trying food from different cultures. 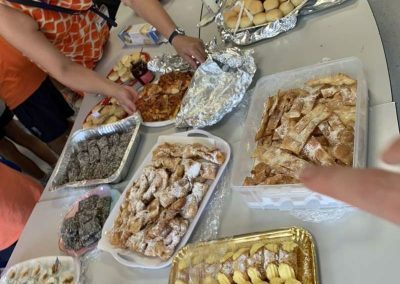 We had pizza, xôi lá dứa, curry, cannoli, samosas, lamingtons, vegemite sandwiches and more! 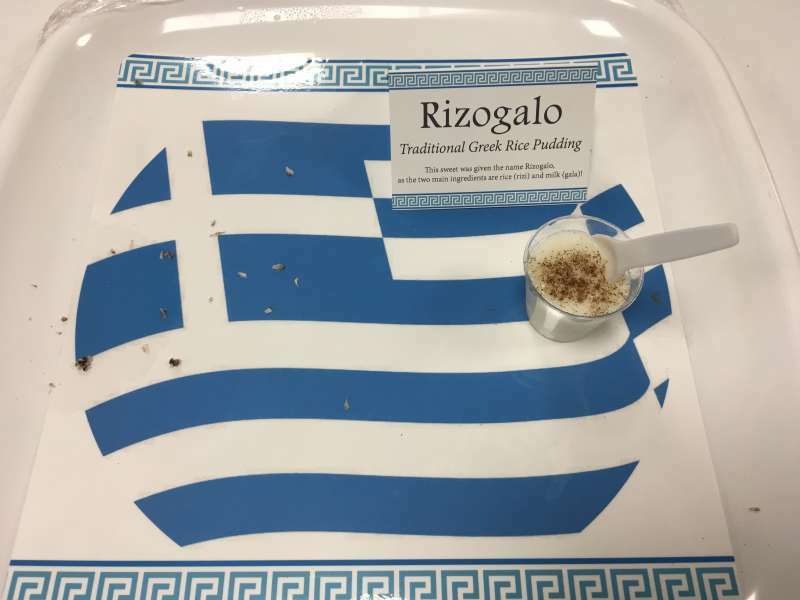 It was delicious and we loved experiencing new tastes and textures. 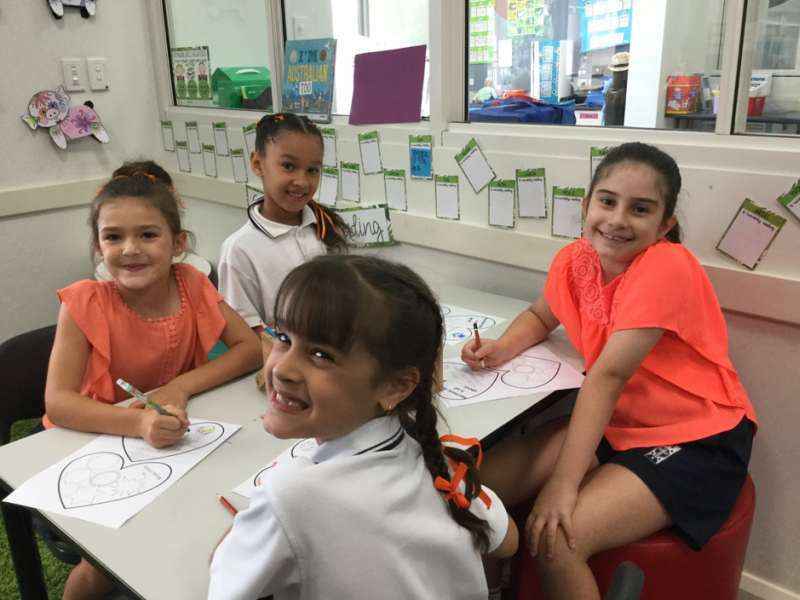 In class, the Year Threes discussed Anh’s story about how she can be both Australian and Vietnamese. 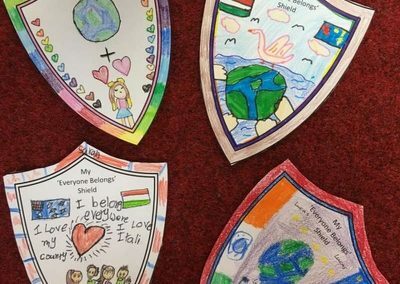 They then designed a shield logo to show that ‘Everybody Belongs’. 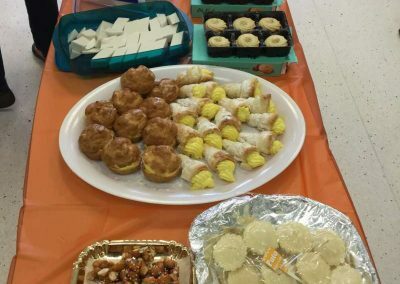 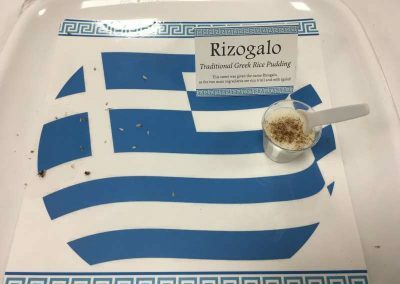 On the 20th of March 2019, the Year Four classes participated in a cultural feast. 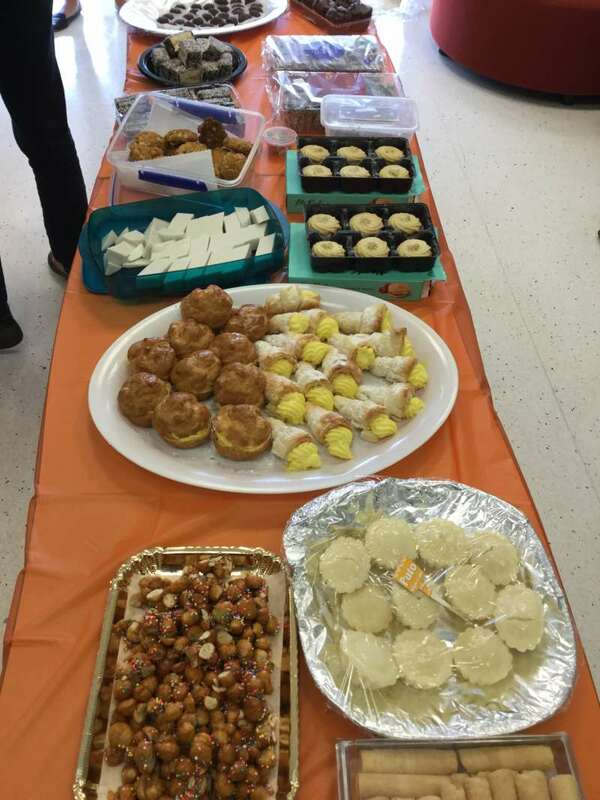 It included many interesting foods from many different backgrounds. 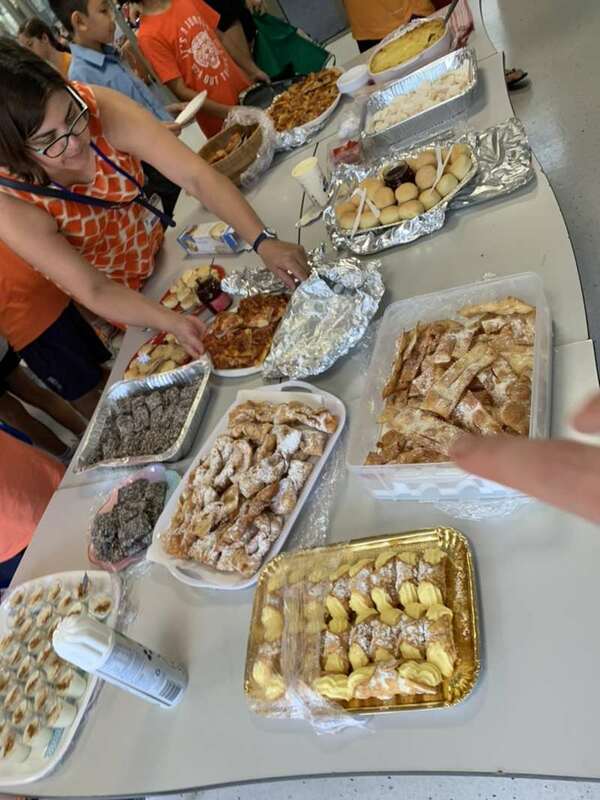 Some of the foods included pizza slices, cannoli, shepherds pie, spicy prawns and rizogalo. 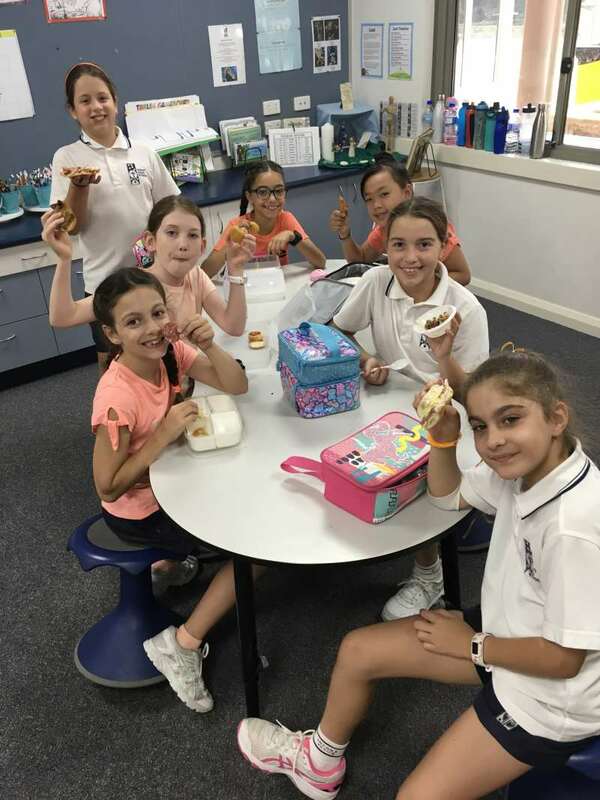 After lunch, other year groups joined in the fun. 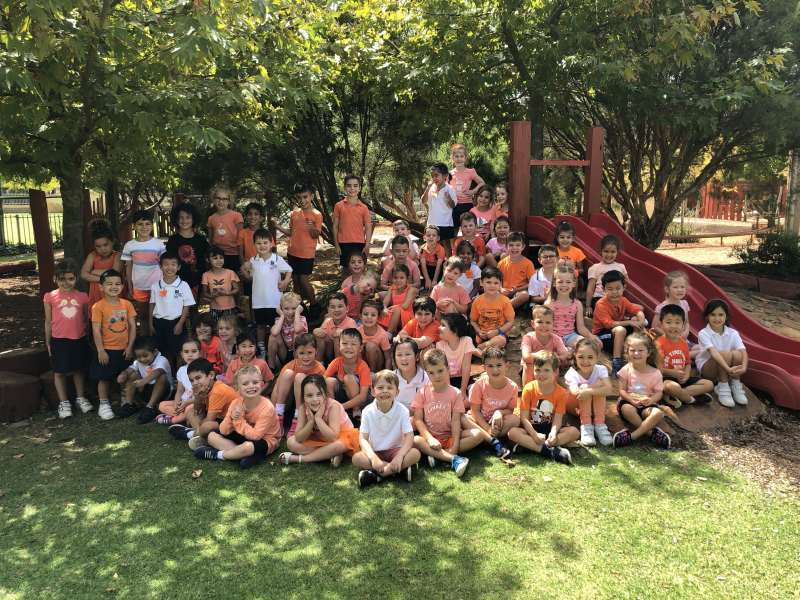 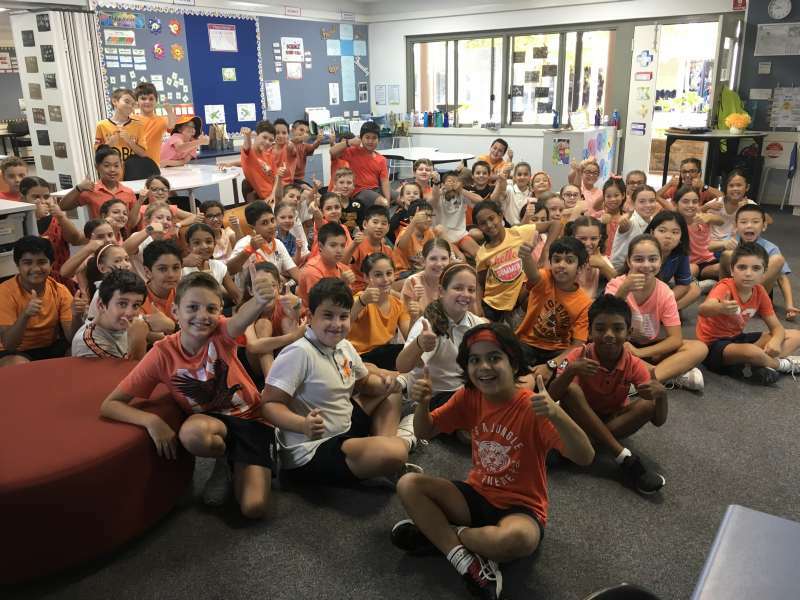 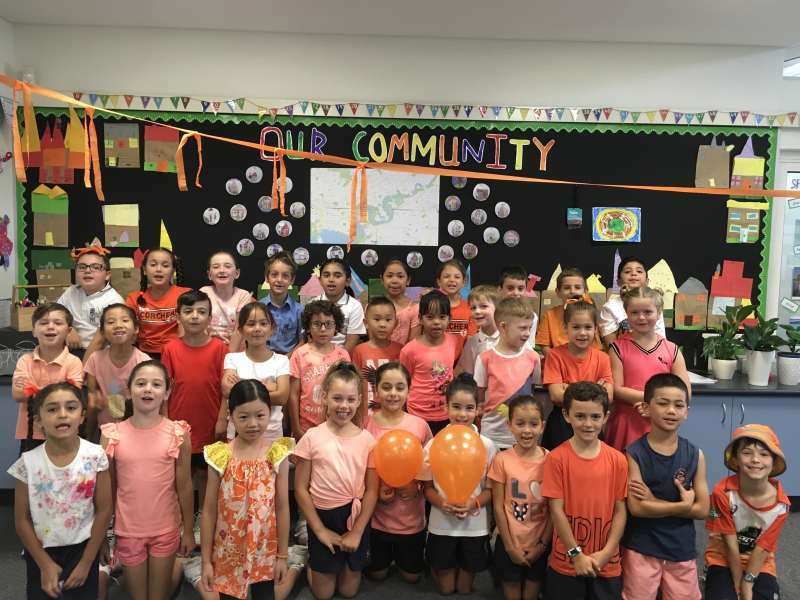 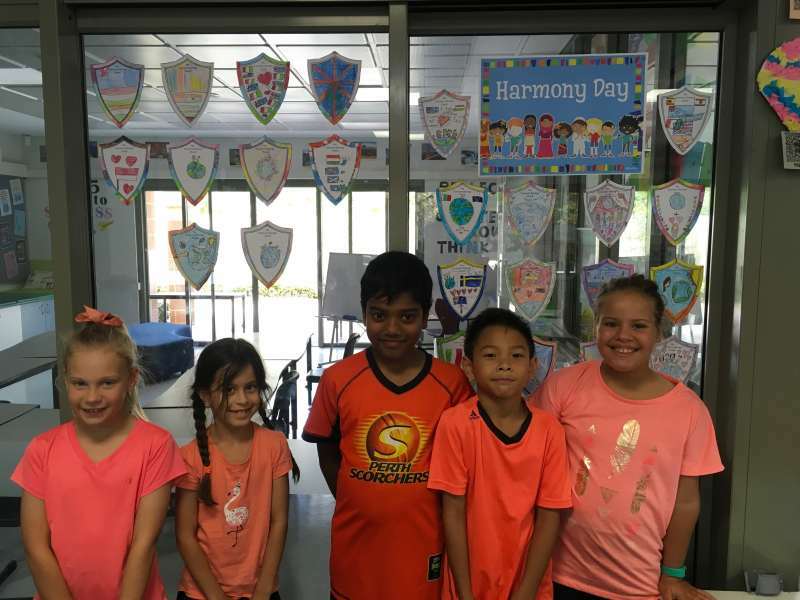 Harmony Day 2019 is a day the Year Fours will never forget! 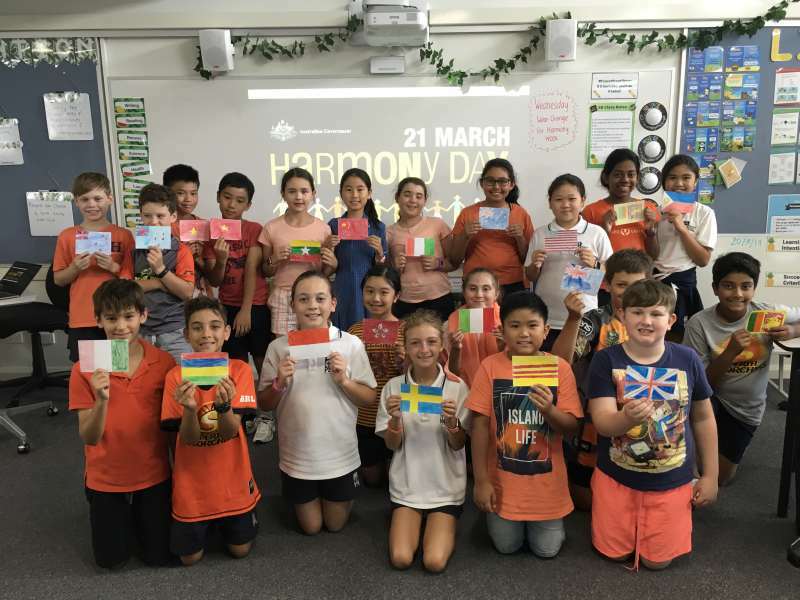 The Year Fives had a great time celebrating Harmony Day and embracing the many different cultural backgrounds within their classes. 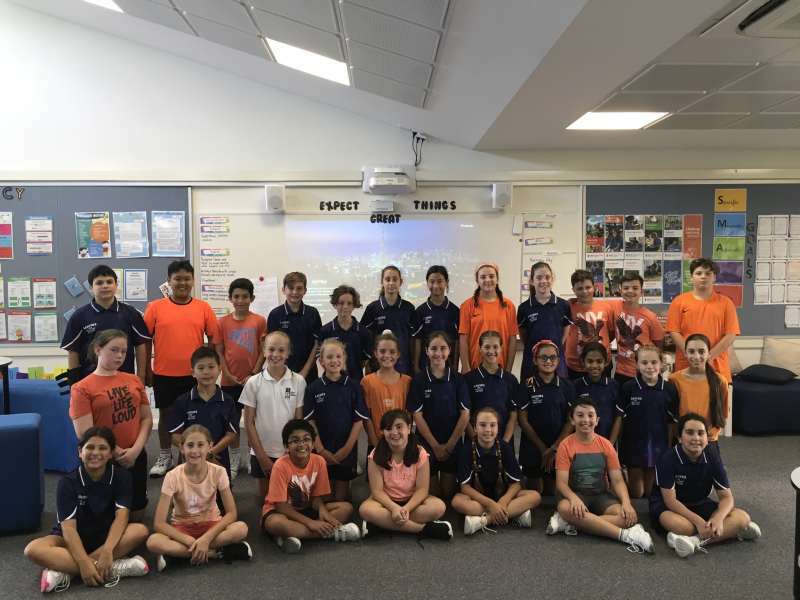 We explored the location of each student’s background by creating a whole class map on the interactive whiteboard. 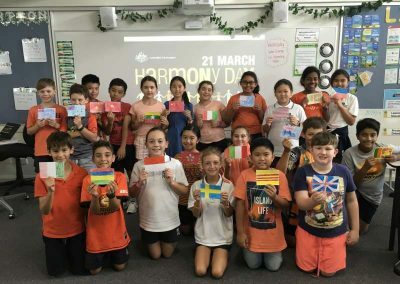 The students drew the flag which represents their family’s origin, while also writing something meaningful about their culture. 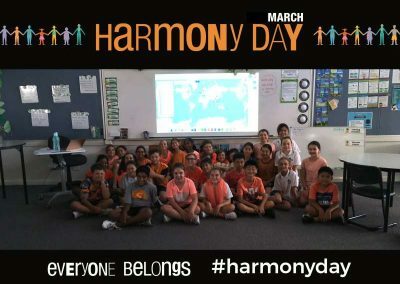 Year Sixes have been discussing Harmony Day and what it means. 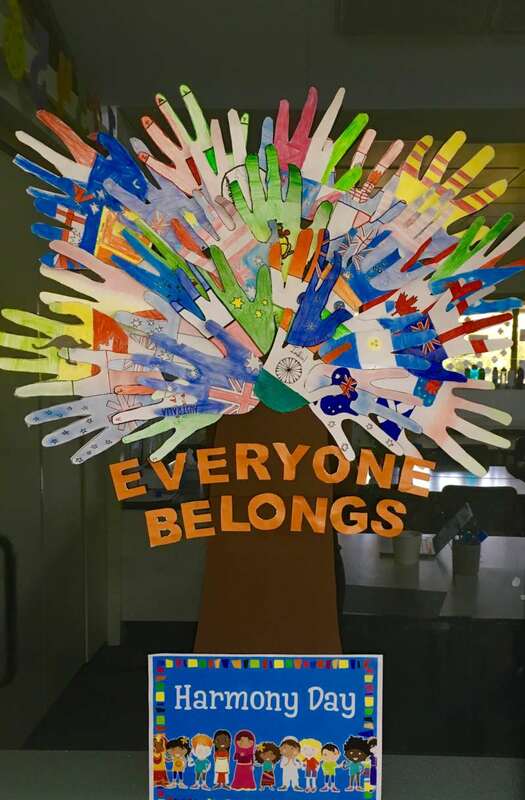 We believe it is about inclusivity, embracing all cultures, being kind and caring, love, friends, family and above all peace. 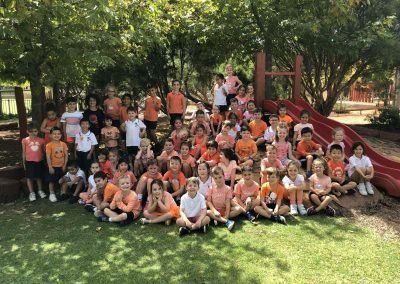 It has been a privilege to be able to wear something ‘orange’ to symbolise this day. In today’s schooling, there is an acknowledged relationship between the child, the school and home life. 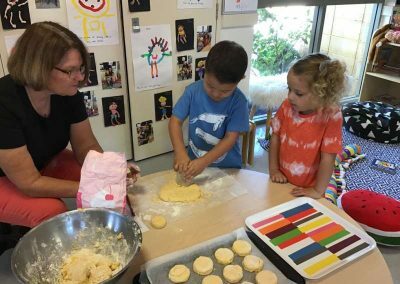 Where a harmonious relationship/partnership exists many benefits for a child’s development can occur. 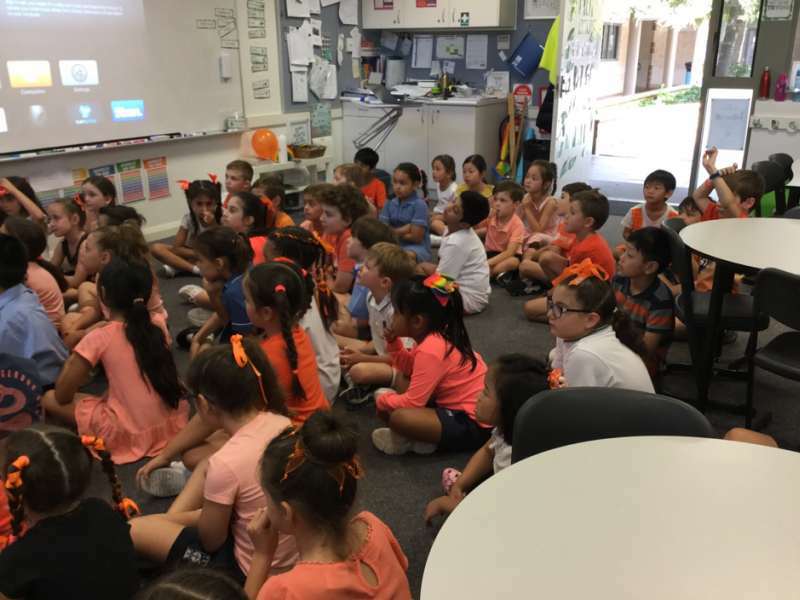 With this in mind, we have set up a Class Representative Network. 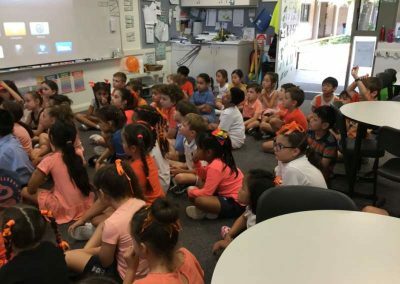 The idea of a ‘Class Parent Representative’ is to strengthen ties between home life and school. 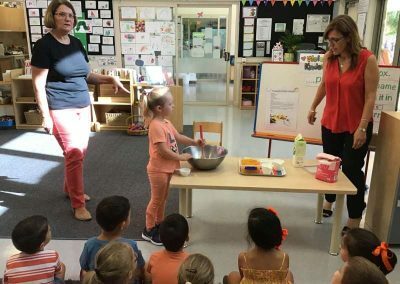 At Infant Jesus School we hope this will provide the best possible opportunities for our children and that it will strengthen our home – school relationship. 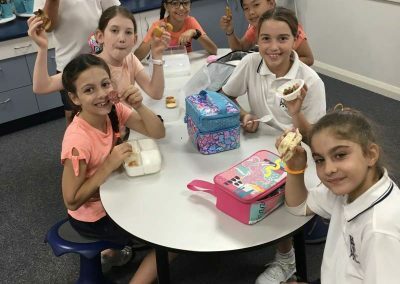 Welcome new families to the school, introduce them to existing parents and to ensure they feel included in school life. 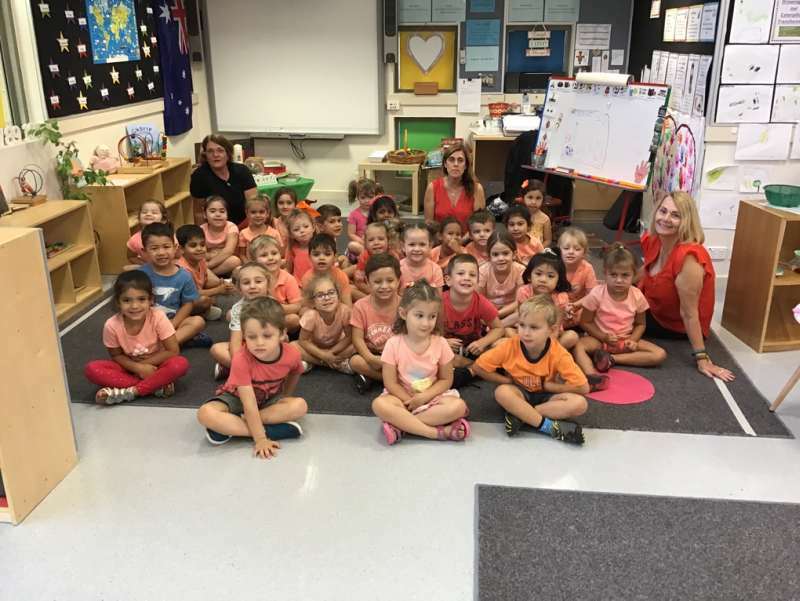 Often it takes time for new families to feel this inclusion as too often they feel isolated when joining a school community. 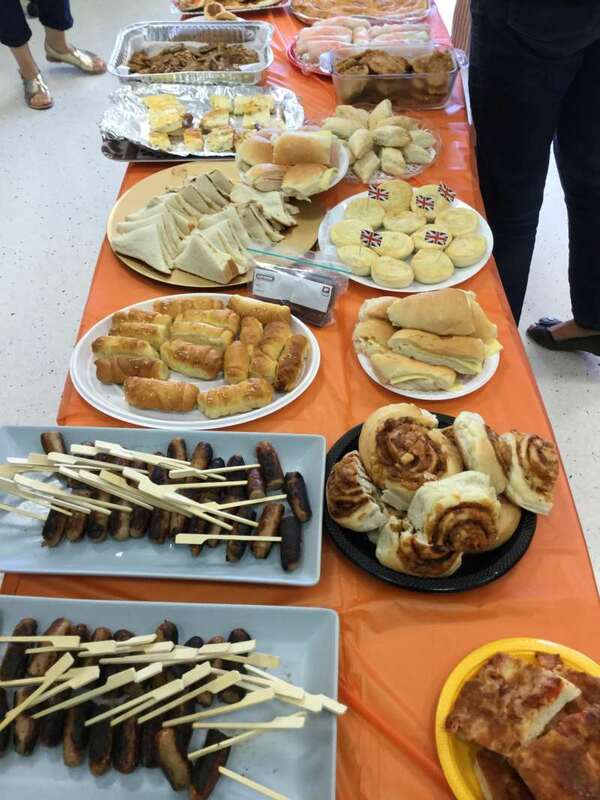 Organise small, social, year level get-togethers with the other year representative (e.g. 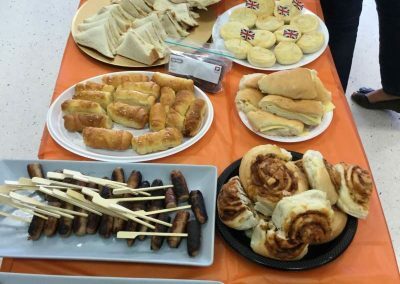 coffee mornings/evenings, dinners etc.). 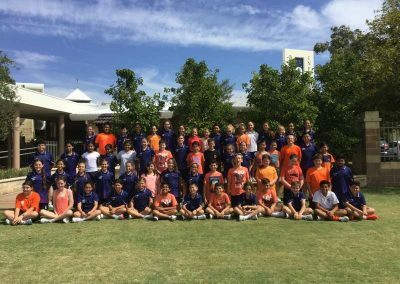 Attend P&F Meetings (where possible) to stay informed and share relevant information within your year level. 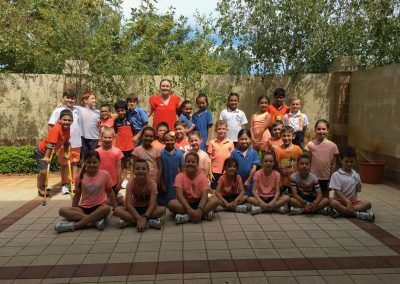 To provide a point of contact for new families in the school. 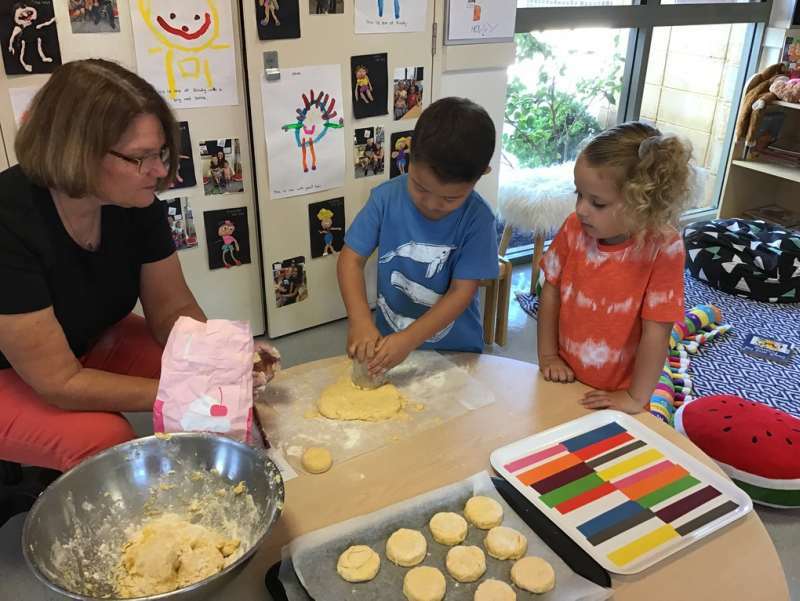 To allow parents to mix socially so that new and established families develop positive relationships with each other. 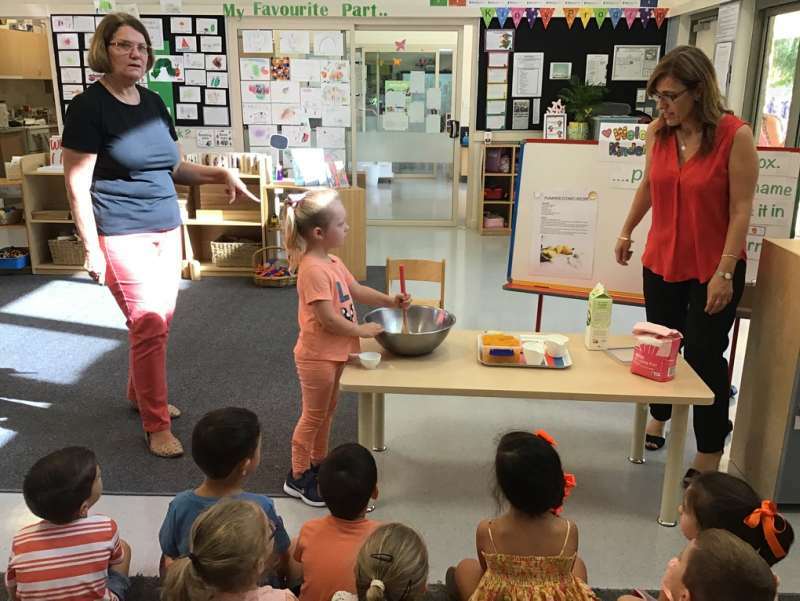 Thank you to all the parents who have volunteered to take on this very important role within our school community. 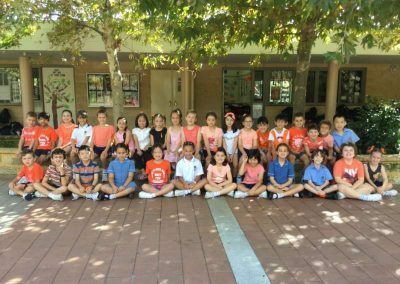 This year we will continue to use Parent Teacher Online (PTO), a web-based online booking system for Parent-Teacher meetings. 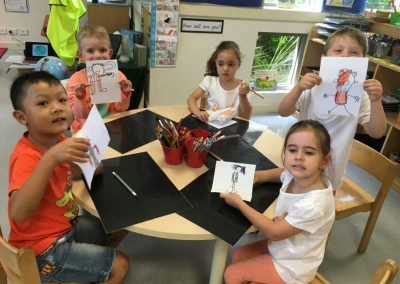 We know that it will save parents time and is quite easy to use. Using this system, you will be able to book the interview times that suit you best from any internet-connected computer. 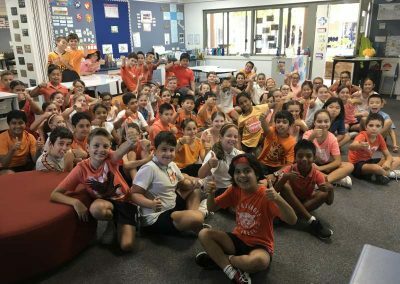 A computer will be available in the Library, during school hours, if you do not have internet access at home or elsewhere. 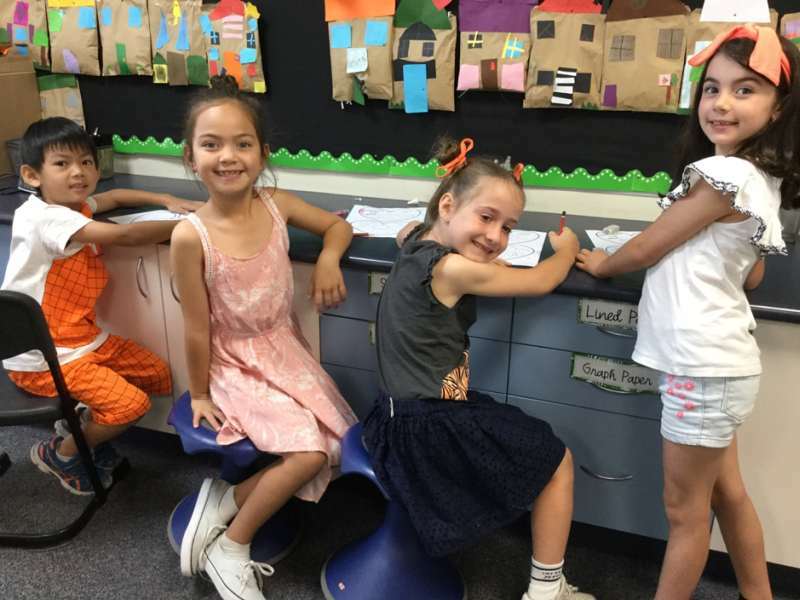 A letter is also attached to this newsletter explaining in more detail how to access PTO. As this is an outdoor venue, hats and sunblock are mandatory. A Lifeguard has been organised and will be on duty during our Carnival. 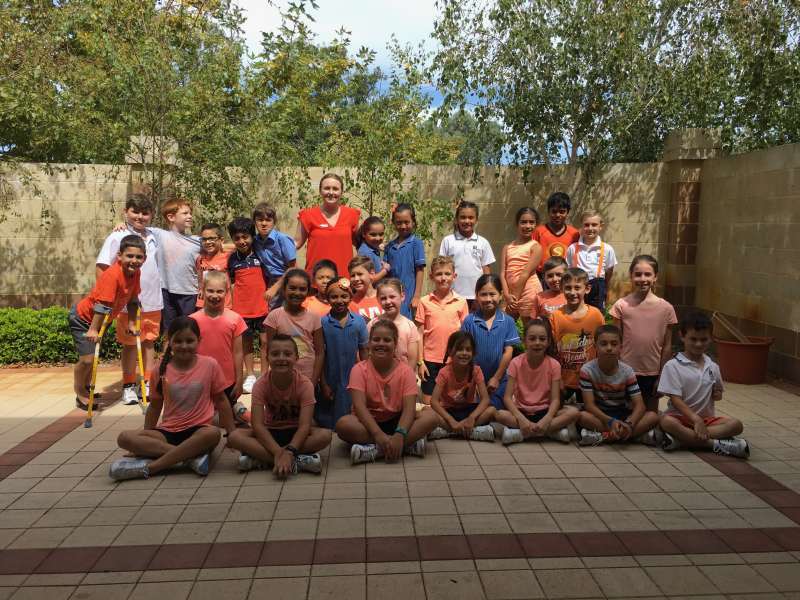 Our Year 6 Leaders will be providing extra support in the pool for our 25m events. 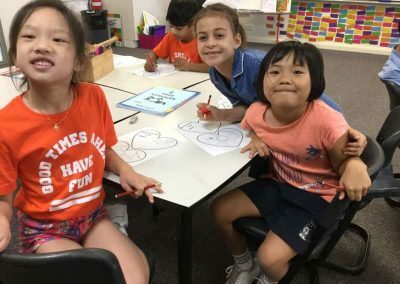 If your child is not returning to school on the bus and leaving with their parents, a signed note from the parent needs to be returned to the school by Monday 1 April 2019. 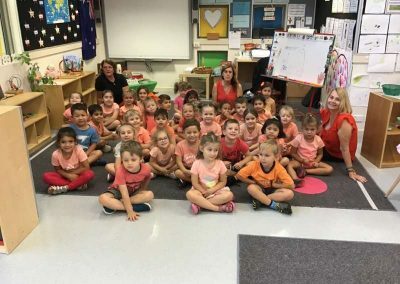 Children will only be permitted to go home with those guardians who are normally responsible for collecting children (parents, grandparents, aunty etc.) or if specified in the note of another parent. 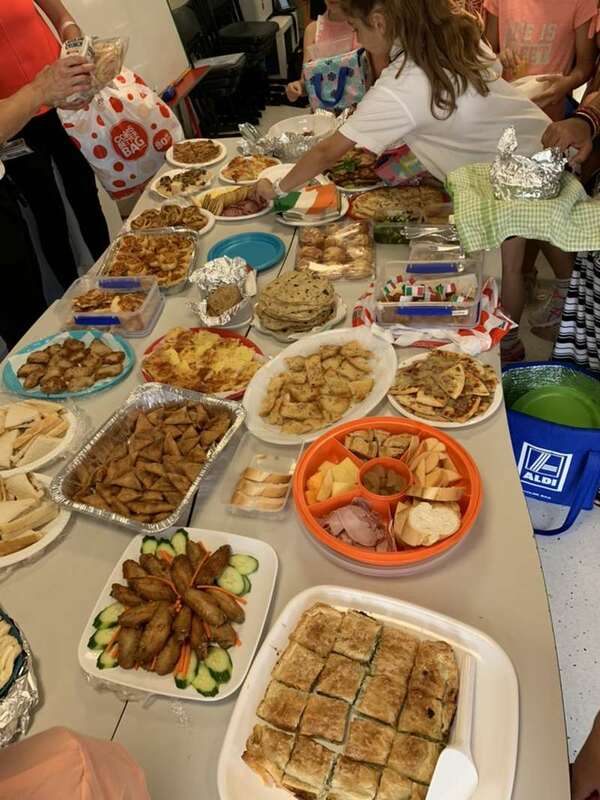 As with all carnivals, parental help will be required. 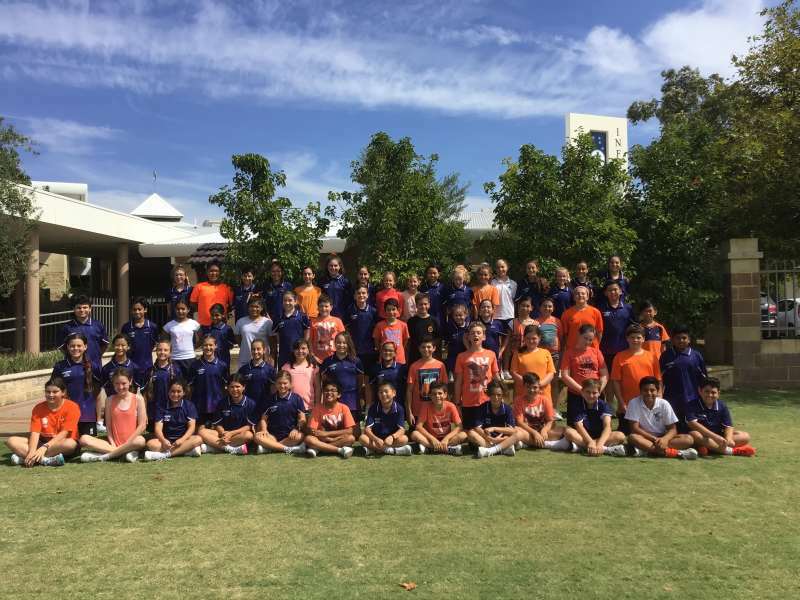 If you are able to help on the day of the Swimming Carnival please email or leave a message with the office. 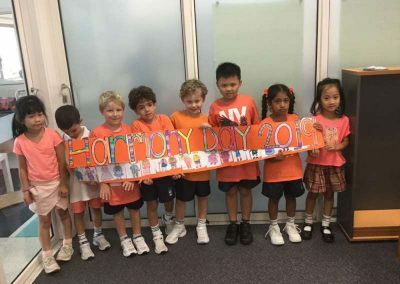 Parental help is always greatly appreciated!